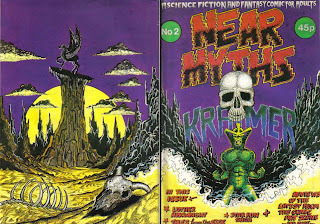 Following on from t'other day's post about British semi-underground mag pssst! 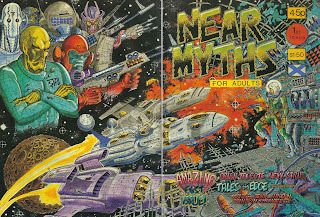 King of The Cover Scans Graeme sent me these examples of Near Myths, another short-lived book published in Edinburgh, that was the first to publish chapters from Bryan Talbot's magnum opus The Adventures Of Luther Arkwright, as well as the first printed pieces from Grant Morrison, both writing and drawing Gideon Stargrave. 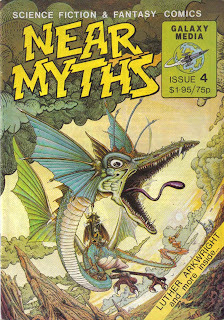 I'm ashamed to say I don't know any more about Near Myths than that, tho' I remember seeing it advertised at the time. 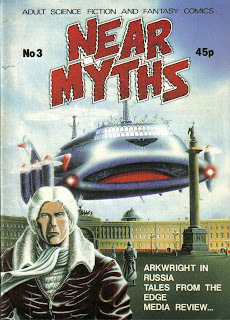 To make up for my shameful lack of knowledge, how does some really early Luther Arkwright sound? 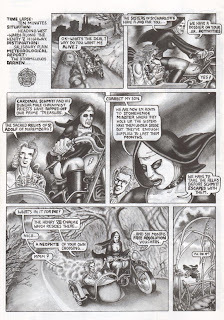 The Papist Affair is from 1976, and really lays the strip's Jerry Cornelius influences bare. 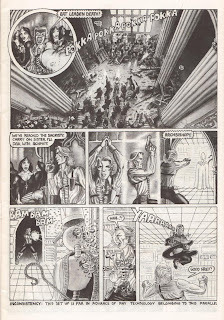 I got this version from a small press mag called The Crystal Palace Exhibition Of 1991, but I'm not sure where ( or if ) it first appeared. 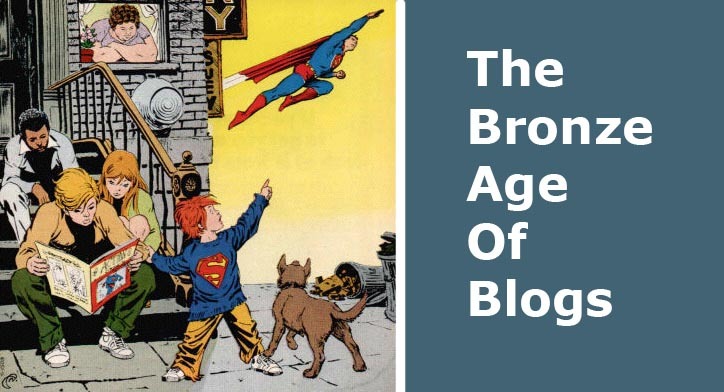 Wherever, it's a lot of fun, though I'm sure Bryan'd be embarrassed by it now. 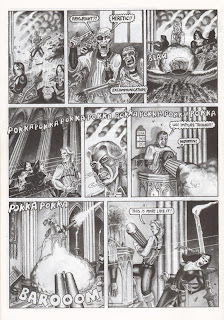 I like Bryan Talbot but after several attempts I was never able to get into Luther. 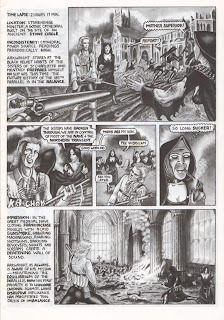 Nuns with machine guns always make a comic special. I go back & forth with it, if I'm honest. 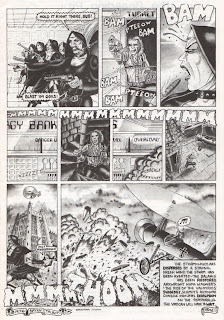 It's so resolutely british in it's influences and style, I can completely see why it turns some people off, and, as I say, I've read it five or six times, and still don't know if I actually like it, as opposed to admiring the skill it took to create it. Nuns doing fellatios are even better! As seen in Heart of the Empire.